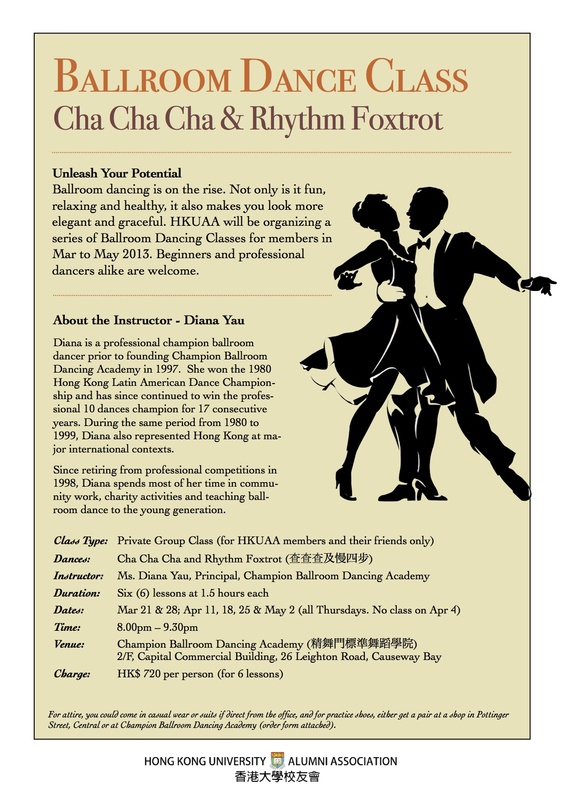 HKUAA has invited a professional champion ballroom dancer to conduct a series of Ballroom Dancing Classes for members from Mar to May 2013. It is not only an opportunity for you to learn the elegant dance, but also an interesting way to indulge yourself in music and relax! You don’t have to worry about bringing a dance partner, as we will arrange for you in class. Beginners and professional dancers alike are all welcome. Please find more details at the flyer below.